Continuity of activity is incredibly important for any community, especially when collaborating on projects or creating an online work environment. In the event of an error, it's often necessary to know which actions were taken, and when. In Igloo, the activity trail on a document or the circumstances of its deletion can help clear up discrepancies. 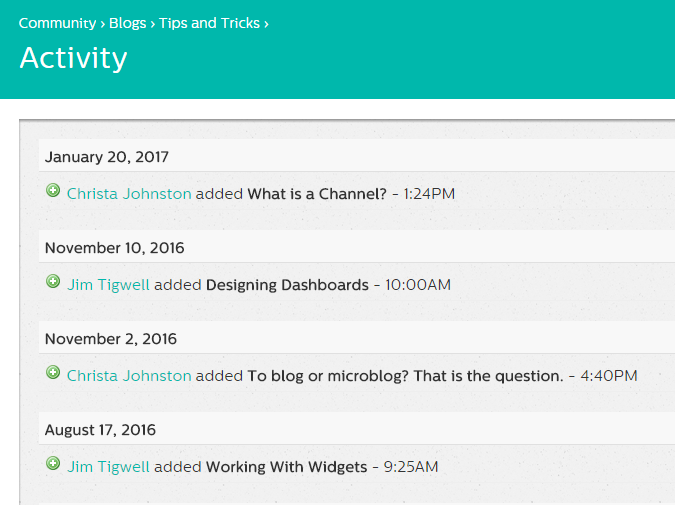 There are several different areas for administrators to track activity around a particular article, file, or event. Yes, channels are found on television sets, radios, and in bodies of water, but Igloo's Channels are also used to collect and categorize information. Check out the article, "What is a Channel" to learn more. Click here to learn about channels, and check out the PDF attached to this article.